Only Tier 3 & Tier 4 Data Centers! CPG Ventures, based in the birthplace of aviation, Ohio, offers dedicated hosting solutions to individuals, SME and Fortune 500 companies. dedicated hosting industry a better one! And for us – it is very simple. Unlike other companies who offer dozens of different hosting products, we have to focus on our dedicated hosting products only and make sure that this service and product is rock-solid. How We Make It Better. H.D.N.S. – Hardware, Data Centers, Network & Support! We only work with the best vendors in the world! And only select the hardware where we know that it will satisfy your hosting experience. Since we purchase a high volume of hardware each and every month, we get one of the best rates from our vendors, such as HP®, Dell® or IBM®, which we directly pass on to our valuable customers. All dedicated server configurations come with full root access, a remote hardware reboot service, and are designed to fit nearly any use-case. The best hardware deserves the right spot to be in. Meet our data centers. All dedicated servers are placed, maintained and running in Tier III & Tier IV data centers. This allows us to truly offer a 100% uptime guarantee as the only reason why a server could possibly ever be down is because of human error, which doesn’t happen with us. All our data center facilities world-wide have a 24/7/365 system administration staffing, who not only pro-actively monitor our data centers, but also take precautions if there is only a slightest warning. Needless to say: Besides our great staff, the facilities come with full redundancy of power, generators, backup batteries, cooling system and of course internet carriers. Fast connectivity is key! 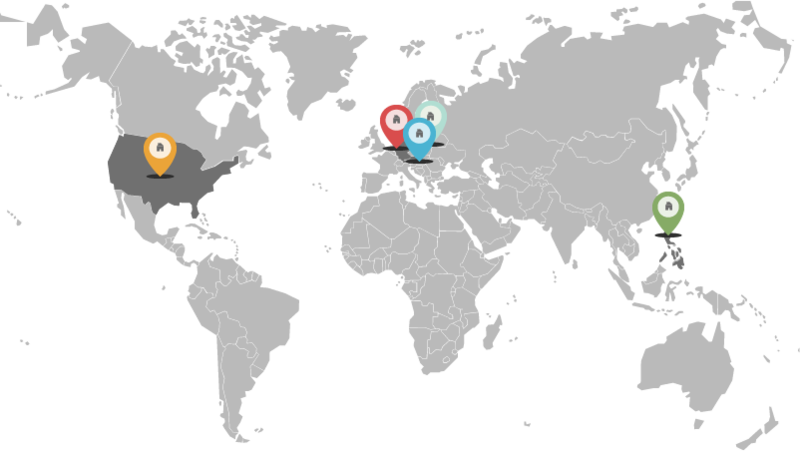 We make sure that your dedicated servers are connected to the best carriers in the world. All our data centers have multiple 10 Gig pipes and are connected to each other. This will ensure that anyone in the world can access your site or server at an unheard-of speed. CPG Ventures has the best possible equipment in all of our facilities, but all of this would not be possible without our great customers. This is the reason why we put a lot of effort into supporting our customers, to make sure they are served right and in a timely manner, no matter what the request is. All of our support staff has to go through our support training program and have to take part of our special in-house training classes to ensure that we have the best trained and knowledgable support team for our customers. We happily offer of course 24/7 support to all our customers. As CEO of CPG Ventures, Christoph’s responsibility is to make sure everything is on track. Christoph gained his in-depth knowledge of running and managing companies through his vast variety of business endeavors in his career. His visions become missions and get executed. But, Christoph is not only able to execute, he also motivates CPG Ventures employees to constantly bring it to the next level. And last, but not least his credo is: “If the customer is doing great – we as a company are doing great”. Customers come first, no matter what.